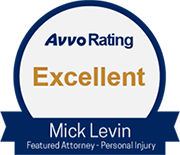 The motor vehicle accident attorneys at Mick Levin, PLC will fight to recover all the benefits you deserve. Through careful assessment and preparation of serious motor vehicle accident claims, our lawyers help victims and their families obtain cash settlements for lost wages, medical expenses, and pain and suffering. If you're unsure of whether or not you have a claim, we invite you to speak to one of our motor vehicle accident lawyers at a free, no-obligation initial consultation. If you were recently involved in a serioius car crash in Arizona, whether preventable (alcohol-related) or not, you are not alone. The reality is that crashes occur all of the time on our streets and highways. Alcohol is a common and preventable cause of these accidents. Motor vehicle accidents account for more deaths than all natural disasters combined. In one year alone, there were 6,159,000 vehicle collisions in the United States, resulting in 43,443 deaths and 2.7 million injuries, at a cost of $203.6 billion. Roughly, 40 percent of the fatal automobile crashes are alcohol-related. 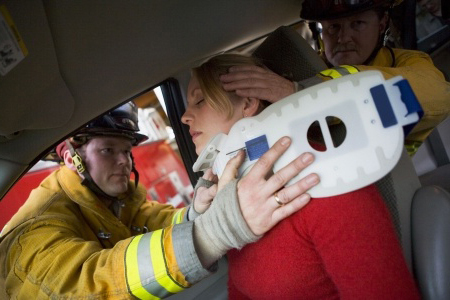 In addition to fatal accidents, about 2.9 million people are injured each year. Your chances of being injured in a motor vehicle accident are better than one in a thousand in any one year. Automobile crash injury results in death and untold suffering to hundreds of people in Arizona each year. In the United States, approximately half of single motor vehicle accidents result in injury or death. Half of fatalities involve drivers between the ages of 21 to 44. Over two-thirds of those who die in vehicles are not wearing seatbelts. Men are twice as likely to die in a motor vehicle collision than women. Women are more likely than men to be injured. The age range of 16 - 24 is the most dangerous for all people. Approximately a quarter of those who die in motor vehicle collisions are pedestrians or bike riders. The older a person is the more likely they are to die as a pedestrian, but the younger a person is the more they are likely to be injured as a pedestrian. A person is 10 times more likely to die in a motorcycle than in a motor vehicle. Alcohol consumption contributes to nearly a quarter of fatal accidents involving drivers between the ages of 16 and 64. Motor vehicle crashes are the leading cause of spinal cord injury in people under the age of 65. Determining what benefits and compensation you may be entitled to receive can be challenging, especially when you are recovering from serious physical injuries or dealing with the loss of a family member. Even when you're trying to do the right thing, there are many ways an unsuspecting auto accident victim's case can be harmed. When you or a family member have suffered a serious auto accident, you need the advice and representation of a good lawyer. Mick Levin, PLC specializes in being your advocate, available to evaluate these claims on your behalf.